Richard Procunier, 29, is the owner of Northern Shore Pharmacy in North Bay, Ont. He learned about the field of pharmacogenomics in his program at the University of Toronto and resolved to bring it back to the community where he grew up. The pharmacy is now one of the first in Canada to offer pharmacogenetic testing for clients. The future arrived in North Bay on a rainy day last summer. There, on the shores of Lake Nipissing, the genomic age stepped into Richard Procunier’s drugstore. As the birthplace of the Dionne quintuplets, the region has a history of celebrating the marvels of DNA, and Mr. Procunier threw a party. The deputy mayor attended. There were doughnuts and balloons, white, red, and blue, twisted into the shape of the double helix. They hung behind Mr. Procunier as he told the crowd that precision medicine had arrived at the Northern Shores Pharmacy with the debut of a special genetic test that would now be available for customers to purchase. It isn’t the type of test that reveals if someone descends from Charlemagne, or has a high risk of obesity or baldness. Rather, he said, this test analyzes certain genes to try to predict if the medications a person takes will be safe and effective. People can react quite differently to the same drug, he explained, and this can lead to side effects in some, and in others, no effect whatsoever. “Take codeine,” he told the North Bay Nugget. “Some people come in with a prescription for Tylenol 3s, and some get a bang for their buck, while for others, it doesn’t work at all.” But with the new test, he said, there’s potential for people to avoid taking the wrong drug or the wrong dose – by using their DNA as a guide. Science still has a staggering amount to learn about the workings of human DNA. Yet the specific genes that shape a person’s response to drugs are a remarkable exception – they’re well understood. Long before it was even possible to unravel the helix, researchers had sussed out the inherited biochemistry that explains why people metabolize drugs differently. And now that unravelling DNA is not only possible, but commonplace, pinpointing the genes that impact drug reactions has become one of medicine’s hottest areas. The field – an unwieldy mouthful known as pharmacogenomics – is seen as the ticket to “personalized medicine,” health care’s dream destination, where drugs can be matched to an individual’s unique genome. Like almost everything ‘omic,’ the field is a work in progress. But ever since reading DNA has become relatively cheap and speedy, direct-to-consumer tests that assess people’s drug-response genes are taking off. Researchers across the country are gathering evidence to push doctors to catch up to pharmacogenomics, especially when it comes to mental-health issues where pharmacogenetic testing is the only biological way to see whether a drug might be safe or effective. So while consumers grab the DNA reins – ordering pharmacogenetic test kits online and buying them over the counter in North Bay and at a growing number of other drugstores across the country – questions are mounting about why gene-guided prescribing has not become a regular part of publicly funded health care. After all, for years pharmacogenetic tests have been a standard perk in many private health plans, available to company executives and the well heeled to help inform their medication choices. The country’s three largest insurance companies are so sure of its upsides that they’ve all launched studies to see how much they, and employers, can potentially save in disability claims: Their expectation is that gene-guided prescribing will get people on safe and effective drugs sooner, and back to work faster. In the United States, where adverse drug reactions are the fourth-leading cause of death, the Food and Drug Administration has decided to include information about the genetic traits that may affect a person’s drug response on the safety labels of about 300 medications. 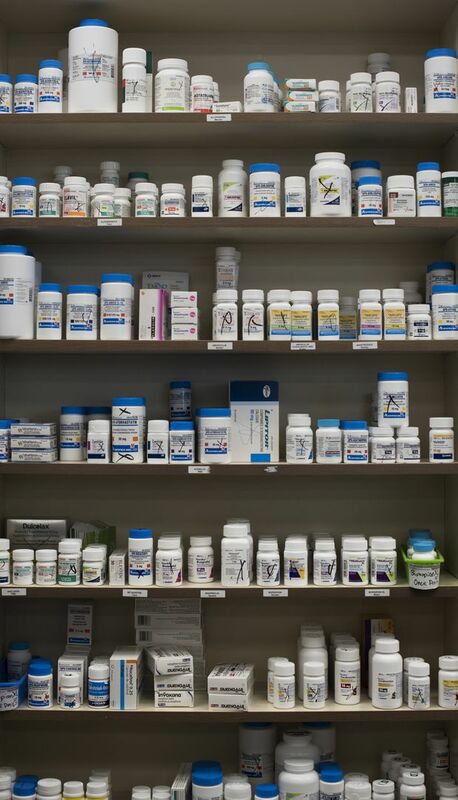 Some of those, including certain painkillers, antibiotics and drugs for high blood pressure, are no strangers to the household medicine cabinet. Meanwhile, across Canada, researchers are amassing evidence to push the outpaced public-health system to catch up, especially when it comes to treatments for mental-health conditions. Apart from this type of gene testing, there’s no biological way to gauge if a drug for depression, say, or anxiety, will be safe or effective. In Ontario, a major ongoing study involving 10,000 patients is finding that, by matching drugs to gene types, doctors can predict which medication a patient will properly metabolize, and at what dose. It’s an approach that appears to be relieving symptoms, reducing side effects and curtailing hospital admissions. 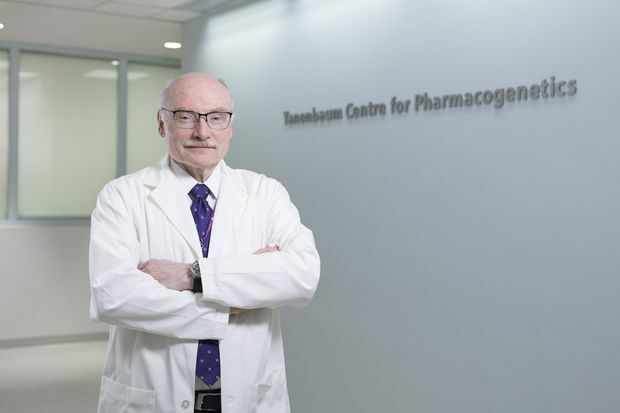 Study leader James Kennedy, who is a professor of psychiatry at U of T and head of the Tanenbaum Centre of Pharmacogenetics at the Centre for Addiction and Mental Health, believes the final results will persuade the Ontario government to cover pharmacogenetic testing within two years, and that other provinces will follow. “It’s still a long time to wait,” he says, because it’s not just the system that has to change, but doctors, too. “Physicians are pretty conservative for all kinds of new interventions, and this is a revolutionary change in the process a doctor uses to decide on a medication. While working at U of T in the 1950s, scientist Werner Kalow coined the term pharmacogenetics. He had been investigating why nasty, and sometimes fatal, drug reactions seemed to run in families. Toiling over test tubes and proteins extracted from the ground-up livers of animals, he discovered enzymes that break down drugs in the human liver – and realized that people inherit different levels of them. Eventually, after it became possible to read DNA, scientists learned that these liver enzymes are made by a distinct family of genes. Known for short as CYP (pronounced “sip”) genes, about a half-dozen of them form the backbone of current pharmacogenetic tests, because they’re involved in metabolizing most of the drugs on the market. They convert certain medicines into their active form, make some drugs more or less toxic, and also break them down at different speeds: rapidly, moderately, slowly or, in some cases, not at all. Africans, for instance, have more diverse liver enzymes than do Asians or Caucasians, because their ancestors were exposed to a wider range of plants, and as the world’s oldest ancestral group, their genes have had more time to evolve. The result, says Dr. Kennedy, is that people of African descent often require higher drug doses, because their wider variety of enzymes tend to break down and eliminate medications more quickly. Asians, meanwhile, tend to require lower drug doses than do Caucasians to control certain conditions, such as high cholesterol, blood clotting and hypertension. In 2007, doctors at Sick Kids reported on the case of a newborn who died of a morphine overdose. Later genetic testing showed that the infant’s mother, who had been prescribed small doses of codeine following a painful childbirth, was an ultrarapid metabolizer whose body converted the drug into morphine so quickly that it became a lethal dose in the breast milk her baby ingested. The case was key in prompting drug regulators to add a “black box” warning that codeine may cause breathing difficulties and death in patients who are ultrarapid metabolizers. Yet, as recently as 2012, doctors reported in the journal Pediatrics that children have continued to die – due to their own rapid metabolism of codeine – including a four-year-old First Nations boy prescribed the drug after having his tonsils and adenoids removed in Northern Ontario. Dr. Jim Kennedy of CAMH has been met with skepticism from pharmaceutical companies about the benefits of genetic tests. Both the U.S. FDA and Health Canada now recommend that drug companies trying to bring a new medication to market should include information about gene variants that could render the drug ineffective or dangerous in some patients. Neither regulatory agency makes it mandatory, but that, says Dr. Kennedy, could change with the outcome of a major lawsuit under way in Hawaii. In 2014, that state-filed suit against Bristol-Myers Squibb and Sanofi-Aventis for allegedly marketing a drug the companies knew would not work for a major portion of the Hawaiian population. Plavix, or clopidogrel, is prescribed to prevent blood clots after someone has a heart attack or stroke, but native Hawaiians, says Dr. Kennedy, were dying at a higher rate while taking it. Richard Procunier holds a test kit from OneOme, a Minnesota-based company, that looks at markers in 22 genes and predicts a patient’s tolerance to more than 340 medications. After he learned about pharmacogenetic tests in school, Mr. Procunier assumed they hadn’t been widely adopted because older doctors and pharmacists knew little about them. 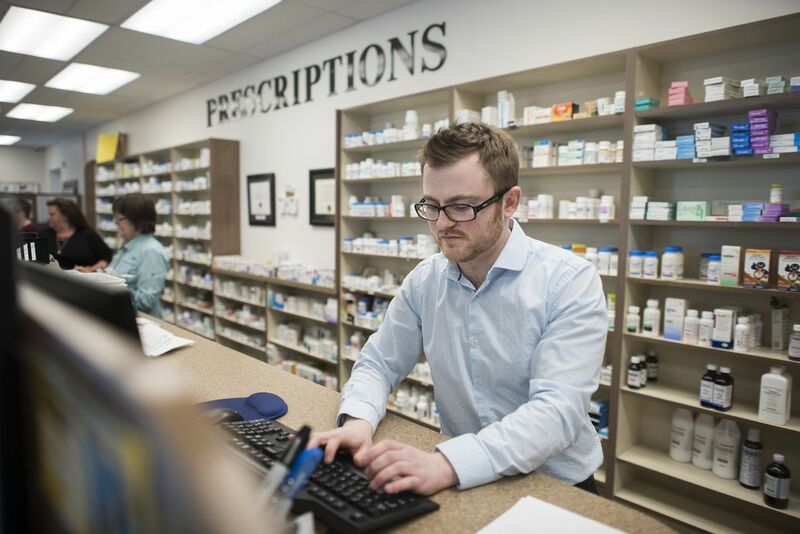 But the pharmacy he and a colleague opened in his hometown of North Bay happens to operate alongside a medical clinic also staffed by young doctors – and everyone was game to incorporate pharmacogenetics into their practices. The challenge, he says, was finding a lab to run these specialized tests. The public-health system has few of them. While some major hospitals run genetic tests to predict responses to a few powerful medications to treat, say, HIV or cancer, especially in children – where the wrong drug or dose can be lethal – they rarely do it for other patients. His search eventually led him to OneOme, a Minnesota company that offers a test developed at the Mayo Clinic. Used in private health-care plans and, according to the company website, many hospitals, the test looks at markers in 22 genes and predicts a patient’s tolerance to more than 340 medications. Mr. Procunier now sells it, along with his counselling services, for $349, and in contrast to the unknown quality of testing kits consumers can purchase online, he feels it’s “very comprehensive and evidence-based.” OneOme follows guidelines set by the international research groups that decide when there is sufficient evidence that a certain gene type can affect a person’s response to a specific drug. 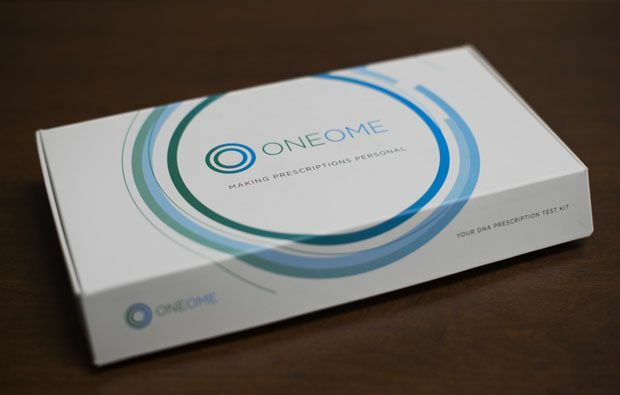 The OneOme test kit is 'very comprehensive and evidence-based,' Mr. Procunier says. Among those surprised to read about the drugstore launch party in the local news was a 74-year-old woman who, for privacy reasons, has asked The Globe not to use her name. The woman knew about DNA tests that try to reveal ancestry or disease risks. But she’d never heard that a genetic test could tell her how her body might react to medicines – which, for 30 years, has been quite badly. In the 1980s, what they found was pelvic cancer, and she was sent for treatment to Toronto, where doctors gave her haloperidol, a potent tranquilizer, to calm her nerves. She woke that night in a fit of frightening hallucinations. By morning, her muscles had grown so stiff that she couldn’t bend her limbs, which stoked panic and anxiety that kept her off work for weeks afterward. So, last fall, she booked a private appointment with Mr. Procunier, recounted her medication history, and quizzed him about what the test could tell her, and what it couldn’t. (It cannot, for instance, predict most allergic reactions, and can offer information only about drugs and gene variants that have been studied.) 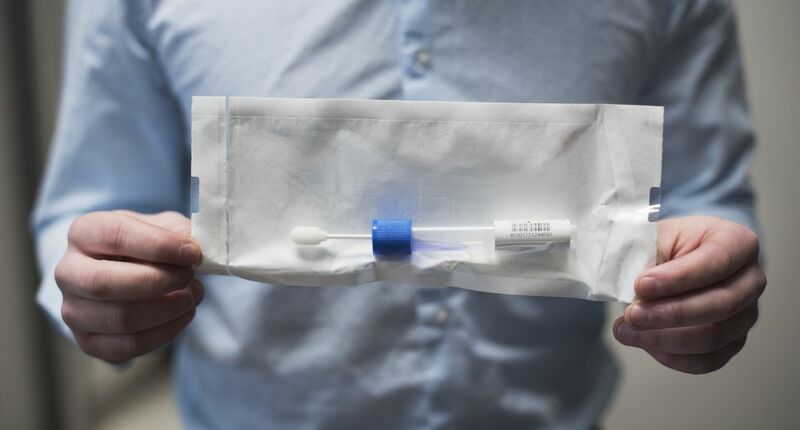 By the end of the session, she swabbed her inner cheek to gather a DNA sample, and Mr. Procunier mailed it to the Minnesota company for analysis. The test found that she carries one gene that makes her a poor metabolizer of some drugs, including haloperidol, increasing her risk of toxicity. By contrast, a variant in another gene makes her a rapid metabolizer of some other medications, which might explain why her antidepressant doesn’t work, says Mr. Procunier: Her body could be breaking it down too quickly. 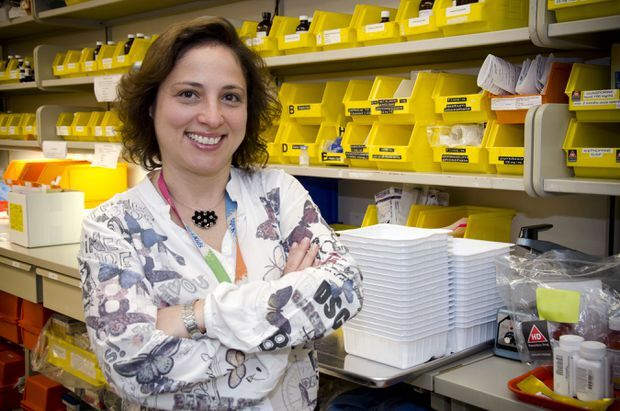 'Health care is lagging a little bit behind' on genetic testing, creating a gap where unregulated testing companies that do substandard work can thrive, says Iris Cohn, pharmacogenetics adviser at Sick Kids Hospital in Toronto. In the Personal Genome Project, based at Sick Kids and U of T’s McLaughlin Centre, all 56 of the inaugural participants learned something medically actionable about their genetic response to drugs. In one case, the slow metabolism profile of a 28-year-old woman was found to be so worrisome that researchers immediately warned her about her increased risks of drug toxicity. Health Canada regulates only those companies that market their test kits for medical purposes, and it has licensed 20 such companies to date. But if – as most companies stipulate – the test kit is sold for “research purposes only,” no licence is required. “This is the great loophole,” says Ms. Cohn, “Hundreds of pharmacogenetic testing companies are popping up, but they are not regulated.” And as she discovered, their work can be substandard. A few participants in the Personal Genome Project were found to have different pharmacogenetic results than those a private company had previously reported. But the firm “didn’t even deny” its results were incorrect when she called to discuss the discrepancy. Bruce Carleton, chair of clinical pharmacology in the University of British Columbia’s pediatrics department, believes pharmacogenetic tests “have a lot of potential to help people make more informed decisions.” But, he says, dubious tests do have the potential to cause real harm: “If they say, ’Don’t use this drug because of the risk of adverse events, well, [how big] is the risk? I worry about people not getting the therapy they need, because they’re worried about an adverse effect that may have a very low likelihood of occurring.” Dr. Carleton, who also heads the Canadian Pharmacogenomics Network for Drug Safety, says patients should discuss these kinds of test results with their doctors in the context of medication they need. Studies have found, however, that while doctors are interested in pharmacogenetics, they’re reluctant to order such tests or to try to interpret them. “This type of information is not taught well in medical schools, if at all,” says Richard Kim, a clinical pharmacologist at the London Health Sciences Centre. And interpreting these results is not simple, he adds. Many drugs are broken down by more than one gene, so the interplay of two or three can shape a drug response. And several factors beyond genes can play a role: age, weight, other health conditions, other drugs being taken, smoking, drinking alcohol and general diet. Dr. Richard Kim works in his lab at University Hospital in London, Ont. Dr. Nislow is leading a study with the BC Pharmacy Association exploring how best to make testing widely available through specially trained pharmacists at community drugstores. Although the research is ongoing, the non-profit Pharmacy Association last year launched a for-profit spin-off called RxOme. It has partnered with Australian firm myDNA Life, which sells a pharmacogenetics test through drugstores in that country and now, through more than 100 Canadian pharmacies. RxOme reports that “several hundred Canadians” have so far taken the test, with their DNA sent to Australia for analysis. Governments, he says, have in part been hesitant to incorporate a new test, as they tend to see it as an added cost. But he calls this “obscenely short-sighted,” since the one-time cost can be “amortized” over a lifetime. 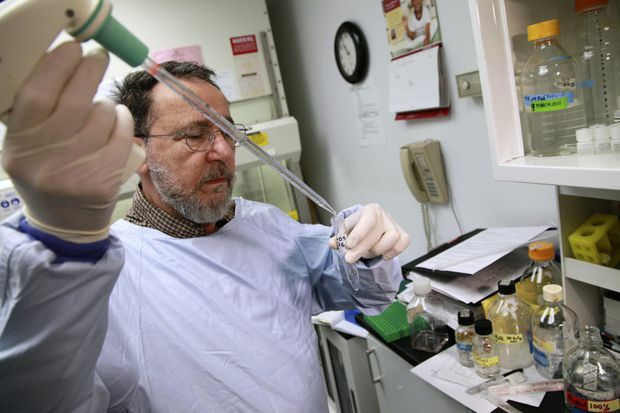 David Sibony, research analyst on CAMH’s IMPACT study team, extracts DNA in the lab. Some 3,000 doctors are testing the genes of 10,000 patients to explore the merits of gene-based drug treatment. Eight years ago, Dr. Kennedy at CAMH began working with the Ontario government to design a study that might prove that pharmacogenetics could prevent patient suffering and save the system money in mental-health treatment. Launched in 2012, the ongoing IMPACT study involves 3,000 doctors testing the drug-response genes of 10,000 patients and comparing their progress to people with matching characteristics and conditions who did not receive gene-guided treatment. Along with capturing the genetic diversity of Toronto, researchers turned a tractor-trailer into a mobile lab and spent five years on the road recruiting patients in Indigenous communities, agricultural centres and areas hard hit by job losses. The test looks at variants in eight major CYP metabolism genes and two brain genes involved in handling serotonin, the mood neurochemical targeted by a popular class of antidepressants and anti-anxiety drugs. Results are returned to doctors in a user-friendly report that predicts how well a patient will tolerate 38 medications approved to treat mental illness. In the United States, a 2013 study found that people taking antidepressants matched to their genes had 69-per-cent fewer total health-care visits and a quarter the disability claims of people who took an antidepressant mismatched to their genetic profiles. Dr. Kennedy believes that the IMPACT results, expected in 2019, will also show the test is a dramatic improvement over the current trial-and-error process, which can drag on for months. Mental illness may be the catalyst that drives pharmacogenetics into health care, but Dr. Kennedy suspects that savvy doctors will ultimately use the metabolism test results to prescribe a variety of other medications. But for now, mental illness is also the prime focus of the insurance industry’s investigations into pharmacogenetics. Last August, for instance, Sun Life gave clients already on an approved mental health-related disability claim the option to join the IMPACT study. In December, Great-West Life launched a pilot project with a private pharmacogenetics testing company to see if it can help clients with chronic pain and mental-health conditions. And Manulife is rolling out a pharmacogenetics study to guide treatment for depression, anxiety and chronic pain. “It’s certainly significant to us to see the three largest insurers in Canada all running pilot programs at the same time,” says Valerie Charlebois, a health and benefits expert at Mercer, an international human-resources consulting firm. The main concern centres on privacy, she says: Human-resources managers feel that “employees would be worried that employers would have access to their genetic information.” Canada’s new genetic anti-discrimination law, Bill S-201, makes it illegal for businesses to ask their workers to take a genetic test or to share the results of any genetic test they take. So employers would have to work around that, possibly offering the test as an option through a testing company at the time of a disability claim. To further her research in the field, Ms. Charlebois recently took two pharmacogenetic tests herself – and discovered that she is a poor metabolizer in one of her major CYP genes, putting her at increased risk of toxicity and side effects in response to several medications.